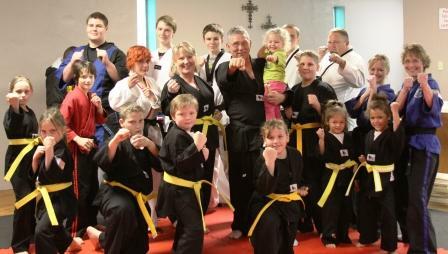 A new outreach program started in January 2013 for people of all ages, is the Christian TaeKwonDo Academy of Hot Springs. Classes are held at the church on Monday and Thursday afternoon and evenings. -While students are taught the art of self-defense via TaeKwonDo style they are also instructed in putting on the whole armor of God with an emphasis on knowing scripture and biblical principles. Students must memorize scripture with each belt progression and are taught the value of a Christ centered life and practical Christian living. Each class begins with pledges to the American and Christian Flag as well as the Bible. For further information emailick here to add text.